“Let Alexa ask Almond to control your smart home! Almond’s Alexa Skills integration allows for interactions with Echo to go way beyond just turning lights on/off. 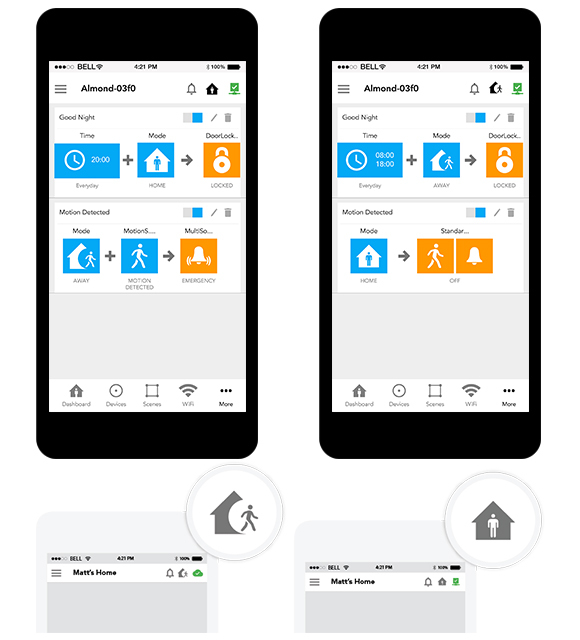 Almond features such as Scenes and Modes can now be voice-activated allowing you to control multiple devices and actions and to set Home/Away Modes. Almond’s AlexaSkills integration allows for interactions with Echo to go beyond turning lights on/off. Just ask Alexa to activate a scene or mode on your Almond. Scenes enable you to control multiple devices with just one tap of a button. For example a single scene can dim all the lights and set the temperature just right for that special dinner date. To activate a Scene named Dinner say, “Alexa, tell Almond to activate Dinner Scene” or say, “Alexa, tell Almond to set Dinner Scene”. Congratulations!! you just created a Echo compatible scene. Home/Away Modes together with our Rules enable you to create intuitive automation. For example, when you arrive home between 6:00-9:00 p.m. weekdays, Almond will disarm the alarm, turn on the porch light for five minutes, and then set the thermostat to 70 F. To set a Mode on Almond using Alexa, you can say, “Alexa, tell Almond to be in Home Mode”, or simply say “I am Home” after starting the skill. 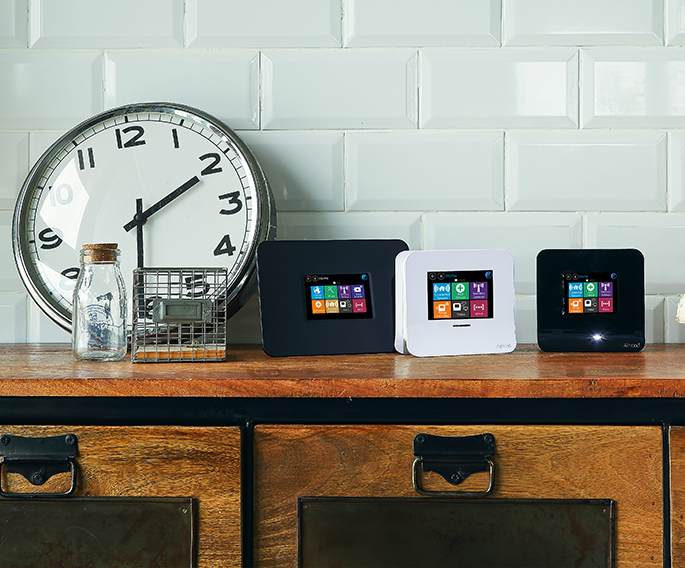 Step 1 – Connect to the Almond Wi-Fi Network. Open the Almond App in local mode and click on the rules tab , then click on the plus symbol to start creating a rule. Step 2 – Select a single or multiple triggers under If. Select desired action under then and save the rule. Step 3 – Select a single or multiple triggers under If. Select desired action under then and save the rule. Step 4 – Congratulations you have now created a rule on your Almond app. Almond Smarthome skill is currently only available in US, UK and Germany. Almond Custom skill is only available in the US.